The Arkansas Arts Center, the state’s premiere center for visual and performing arts with a renowned collection of international art, presents the Mark Rothko in the 1940s: The Decisive Decade exhibition, on view October 25 – February 9, in the Winthrop Rockefeller Gallery. Herman developed the Rothko exhibition while he was the chief curator and curator of European art at the Columbia Museum of Art in Columbia, S.C. Herman approached the National Gallery of Art in Washington about a collaboration to bring to the forefront a thought-provoking depiction of the famed late artists’ works. The show began its run at the Columbia Museum of Art in Columbia, S.C., in September 2012, the Denver Art Museum in Denver, Colo. and will arrive at the Arkansas Arts Center in October. Herman also wrote the forward and introduction in the book, Mark Rothko: The Decisive Decade 1940-1950, which was listed at #6 on Huffington Post’s top art books in 2012. Regarded as one of the leading American artists of the 20th century, Mark Rothko (1903-1970) forever changed the landscape of modern American art. Rothko was a member of The New York School, a collection of artists working in a nexus of artistic approaches, the best known of which were Gesturalism, or Abstract Expressionism and Color Field. What most members of this group shared was a faith in using the power of art effectively to address the pressing historical problems of their era though channels such as the movies, news reports and photographs of the war. 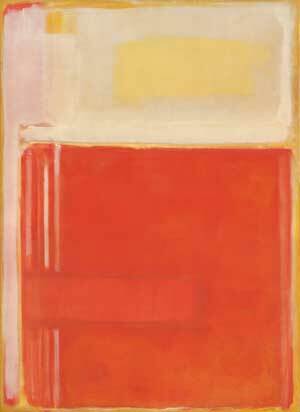 Rothko was the most important artist of the School’s Color Field wing and like many of his colleagues, the 1940s was the critical decade for his development. This exhibition is an examination into the artistic maturation, a decade of searching and rapid evolution, of one of the most influential artists of the twentieth century that deserves not only closer attention, but also a re-evaluation. Included in the exhibition are works by Rothko’s colleagues such as Jackson Pollock, Adolph Gottlieb and Clyfford Still developing along a very similar vein at the same time. Mark Rothko in the 1940s will be the first exhibition and catalogue to reevaluate this work in the context of Rothko’s thoughts about art from the period. The exhibition will bring to light many works not seen before by scholars or the public and highlight a period of his career that is often overlooked. The paintings, drawings and watercolors by Mark Rothko in this exhibition are on loan from the National Gallery in Washington. The exhibition was organized by the Arkansas Arts Center, the Columbia Museum of Art, the Columbus Museum of Art and the Denver Art Museum in conjunction with the National Gallery of Art in Washington, D.C. The exhibition is funded in part by the Dedalus Foundation. Local support is provided by Harriet and Warren Stephens, Chucki and Curt Bradbury, The Brown Foundation, Inc., of Houston, Mary Ellen and Jason Vangilder and the Capital Hotel. Arkansas Arts Center members are invited to a member reception for Mark Rothko in the 1940s: The Decisive Decade, Face to Face: Artists’ Self-Portraits from the collection of Jackye and Curtis Finch, Jr. and Portraiture Now: Drawing on the Edge exhibitions to be held on Thursday, October 24, from 6:30 – 8:30 p.m. Dr. Bradford R. Collins, University of South Carolina associate professor of art history and catalogue editor of Mark Rothko, The Decisive Decade: 1940-1950, will present the lecture, “Rothko’s Dilemma: Beauty and Tragedy,” at 6 p.m. in the lecture hall, sponsored by the Fine Arts Club. Members and guests will enjoy music, cocktails and light hors d’oeuvres. Tickets are required to attend and are free for members. Non-members may purchase a ticket for $15 which includes access to the lecture, exhibitions and reception. Museum School Workshop: Artist Catherine Rodgers will lead a workshop, Paint like Rothko – Color: Complement, Shade, Tone and Tint, on Saturday, October 26, from 9 a.m. – 4 p.m. and on Sunday, October 27, from noon to 4 p.m. Admission to the workshop will be $92 for members and $115 for non-members. Those interested can register through the Museum School, arkansasartscenter.org or by contacting (501) 372-4000. Dance: A special performance titled Color Play, an original choreographed interpretation of the work of Mark Rothko featuring Stephanie Thibeault and the UALR dance department, will be held on Saturday, December 7, at 2 p.m. in the Winthrop Rockefeller Gallery. Admission will be free with ticket purchase to exhibition. Guests may sign up at Stephens Inc. Visitors Center. Space is limited. · Artist Gallery Talk with Virmarie DePoyster will be held on Friday, November 8, at noon in the Winthrop Rockefeller Gallery. Admission will be free with ticket purchase to exhibition. Guests may sign up at the Stephens Inc. Visitors Center. Space is limited. · The film The Rothko Chapel (68 minutes) will be shown on Friday, November 29, at noon in the lecture hall. · The film Rothko’s Rooms (60 minutes) will be shown on Friday, December 13, at noon in the lecture hall. · The film Motherwell & the New York School: Storming the Citadel (55 minutes) will be shown on Friday, February 7, 2014, at noon in the lecture hall. Lecture: Christopher Rothko, son of artist Mark Rothko, will be on hand for questions Thursday, January 16, 2014, at 6 p.m. for the lecture, “Conversations with Christopher Rothko and Todd Herman”, in the lecture hall presented by the Fine Arts Club. The Arkansas Arts Center will have extended hours through 9:00 p.m.
Family Festival: Rothko’s Colors and Perfect Portraits, a family festival, will be held on Saturday, January 18, 2014, from 11:30 a.m. – 2:30 p.m. Admission will be free for members, $5 per person and $20 per family. Music: Haskell Small will present an original composition inspired by Mark Rothko and his paintings on Sunday, February 2, 2014, at 2 p.m. in the Winthrop Rockefeller Gallery. Admission will be free with ticket purchase to exhibition. Guests may sign up at the Stephens Inc. Visitors Center. Space is limited. Drop-In Tours Museum docents will be giving 1-hour tours of Mark Rothko in the 1940s: The Decisive Decade. Tour times are as follows: Tuesday – Friday at 1 p.m., Saturdays at 11 am. and 1 p.m. and Sundays at 1p.m. Free with ticket. Space is limited to 20. Please sign in at the Stephens Inc. Visitors Center. First come, first served. Celebrate the final day of the exhibition with us at the Last Call for Kenwood House Party on Sunday, September 8 from 6-8 p.m.
Guiness and Harp’s beer, London gin tonics and wines, classic Irish pub cheese and savory miniature meat pies will be served. Plus, enjoy traditional fanfare and other surprises, including a special ceremonious closing of the exhibition at the reception’s end. It’s a farewell you won’t want to miss! Admission is free for members and $20 for non-members and may be paid at the door. Follow your art by taking advantage of the many benefits that a membership to the Arkansas Arts Center brings like free admission to the Last Call for Kenwood House Party as well as special exhibitions. Visit the Arkansas Arts Center website to become a member today and start enjoying discounts and exclusive access to parties and receptions. 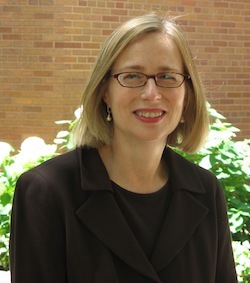 Professor Scallen is Chair of the Department of Art History and Art at Case Western Reserve University, where she has taught since 1995. She received her BA from Wellesley College, her MA from the Williams College Graduate Program in the History of Art, and her PhD from Princeton University. After receiving her doctorate, she held a graduate internship in the Paintings Department of the J. Paul Getty Museum in Los Angeles. 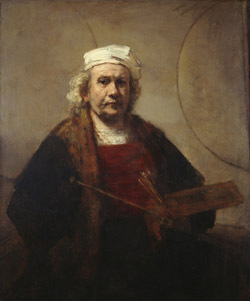 A specialist on the paintings and prints of Rembrandt van Rijn, her book, Rembrandt, Reputation, and the Practice of Connoisseurship, was published in 2004. She has been a faculty lecturer on trips to The Netherlands and Belgium for Princeton University and CWRU, and is the author of two courses for The Great Courses Company, Art of the Northern Renaissance and Museum Masterpieces: The National Gallery, London. Attendees are welcome to stay after the lecture to view Rembrandt, Van Dyck, Gainsborough: The Treasures of Kenwood House, London during the exhibition’s special extended hours. In addition to the extended gallery hours and lecture, the Best Impressions restaurant will be open until 8:30pm. Advance reservations are strongly recommended; to make them call (501) 907-5946. On display through September 8, “The Treasures of Kenwood House” is organized by the American Federation of Arts and English Heritage. It is supported by an indemnity from the Federal Council on the Arts and the Humanities with additional funding from the Samuel H. Kress Foundation. In-kind support is provided by Barbara and Richard S. Lane. It is presented in Arkansas by: Bank of the Ozarks; Harriet and Warren Stephens, Stephens Inc.; Windgate Foundation. The exhibition is sponsored in Arkansas by: Chucki and Curt Bradbury; Sandra and Bob Connor; Remmel T. Dickinson; Lisenne Rockefeller. This special exhibition showcases 48 masterpieces from the collection known as the Iveagh Bequest. These magnificent paintings reside at Kenwood House, a neoclassical villa in London. The tour of Rembrandt, Van Dyck, Gainsborough: The Treasures of Kenwood House, London will provide a unique opportunity to view superb paintings outside the United Kingdom. Most of these paintings have never traveled to the United States before, and many of them have rarely been seen outside Kenwood. The highly acclaimed works represent the greatest artists of their periods, including Rembrandt van Rijn, Thomas Gainsborough, Anthony van Dyck, Frans Hals, Joshua Reynolds, J.M.W. Turner and more. This special exhibition showcases 48 masterpieces from the collection known as the Iveagh Bequest. These magnificent paintings reside at Kenwood House, a neoclassical villa in London. The tour of Rembrandt, Van Dyck, Gainsborough: The Treasures of Kenwood House, London will provide a unique opportunity to view superb paintings outside the United Kingdom. Most of these paintings have never traveled to the United States before, and many of them have rarely been seen outside Kenwood. The highly acclaimed works represent the greatest artists of their periods, including Rembrandt van Rijn, Thomas Gainsborough, Anthony van Dyck, Frans Hals, Joshua Reynolds, J.M.W. Turner and more. Admission to this exhibition is $12 for adults, $10 for seniors and $6 for youth/students. The exhibition is organized by the American Federation of Arts and English Heritage. It is supported by an indemnity from the Federal Council on the Arts and the Humanities with additional funding from the Samuel H. Kress Foundation. In-kind support is provided by Barbara and Richard S. Lane. Sponsored in Arkansas by: Chucki and Curt Bradbury; Sandra and Bob Connor; Remmel T. Dickinson; Lisenne Rockefeller.